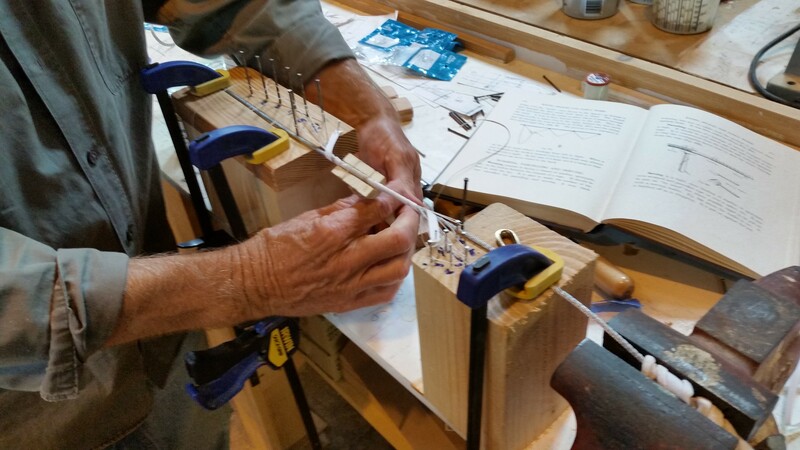 Happy Easter from the RELIANCE Project! 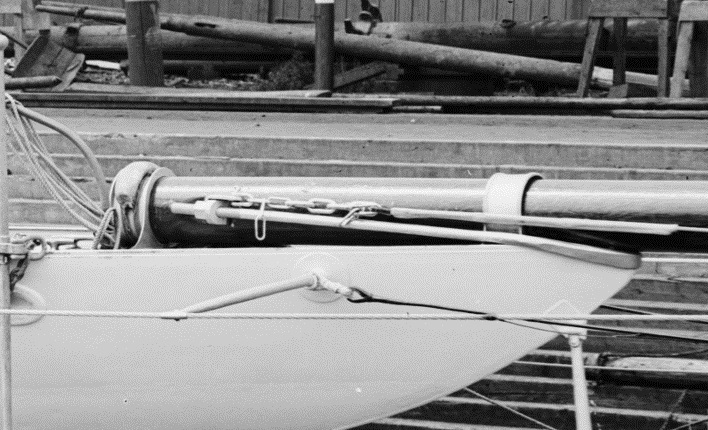 Happy Easter to all those celebrating! 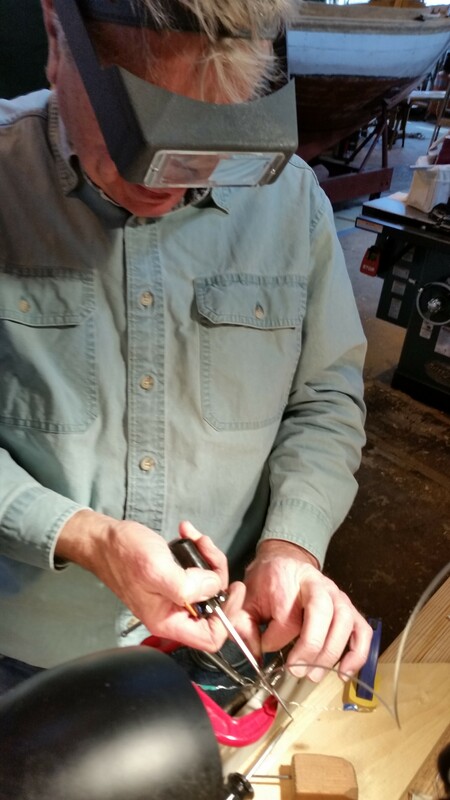 We’ve got some updates that will hopefully make your holiday a bit brighter. 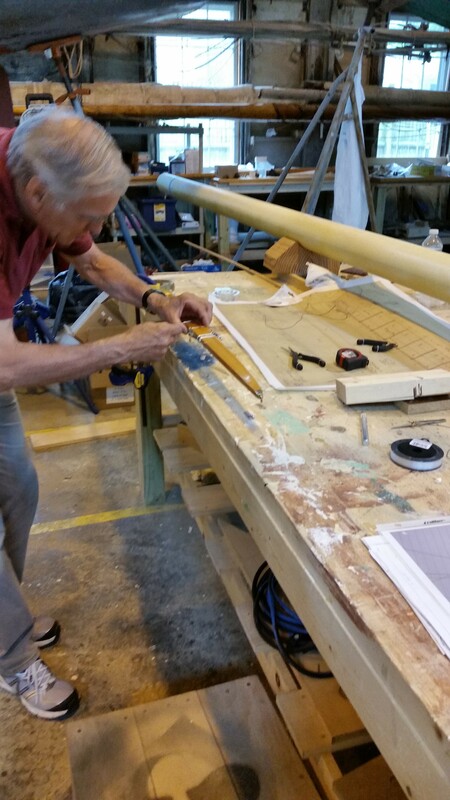 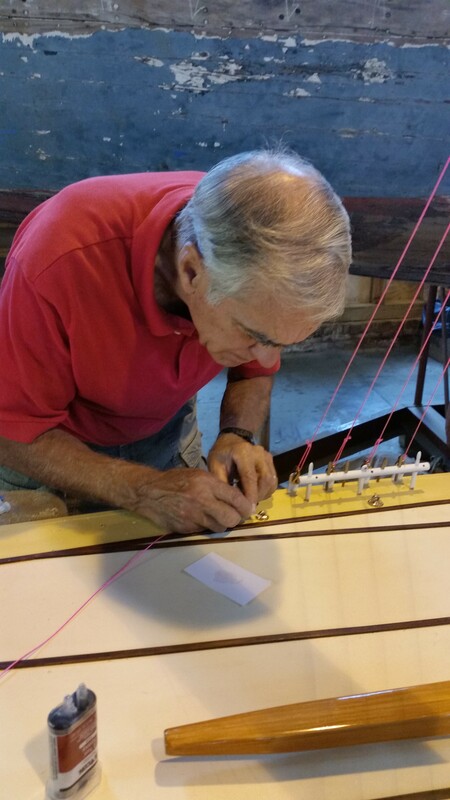 Steve spent a day making final arrangements on the boom; Herb is doing some micro-splicing on 1/16th-diameter wire for the boom footropes. 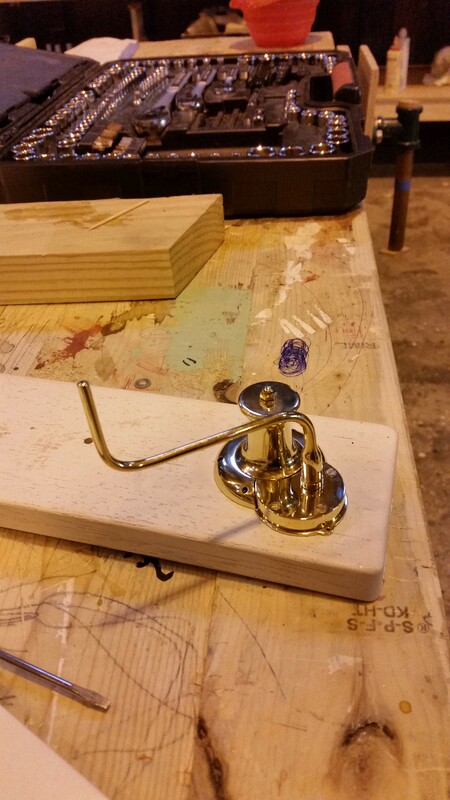 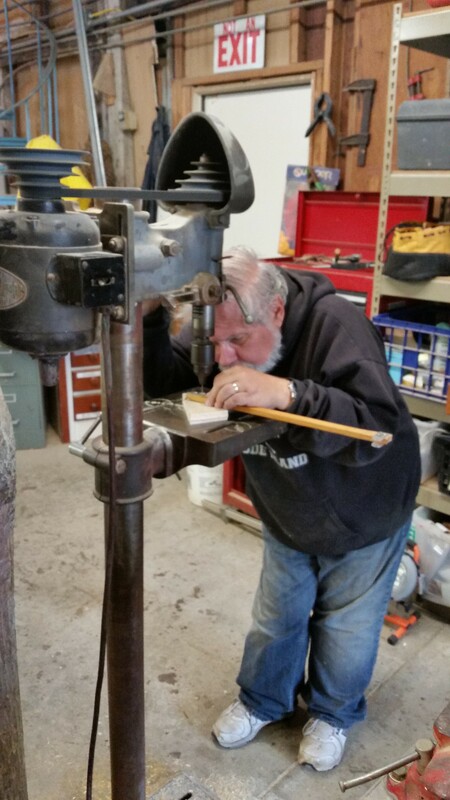 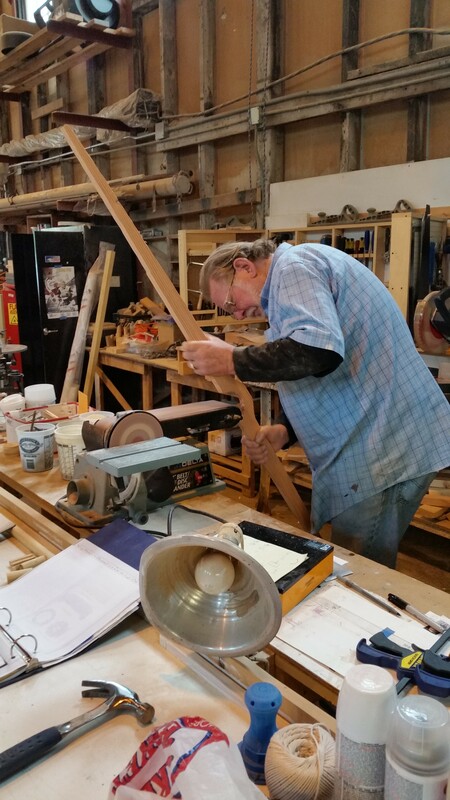 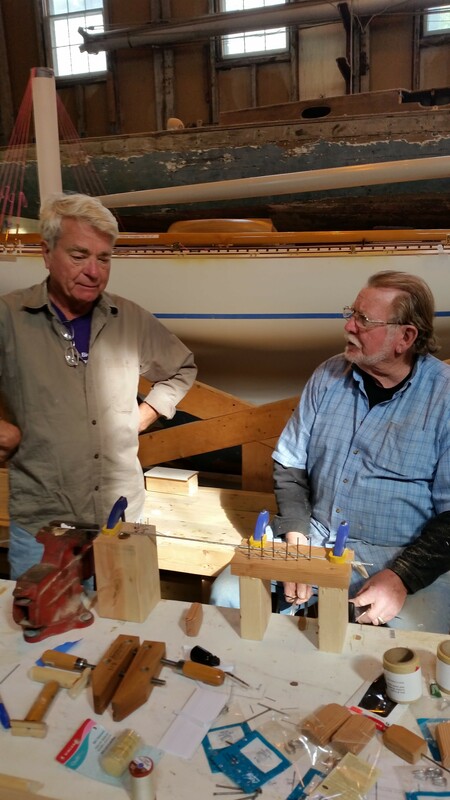 Mike came to the shop with his wax mold-making kit, making wax molds of two of the mast angle iron checks (three more to go) and seven similar cheeks for the gaff. 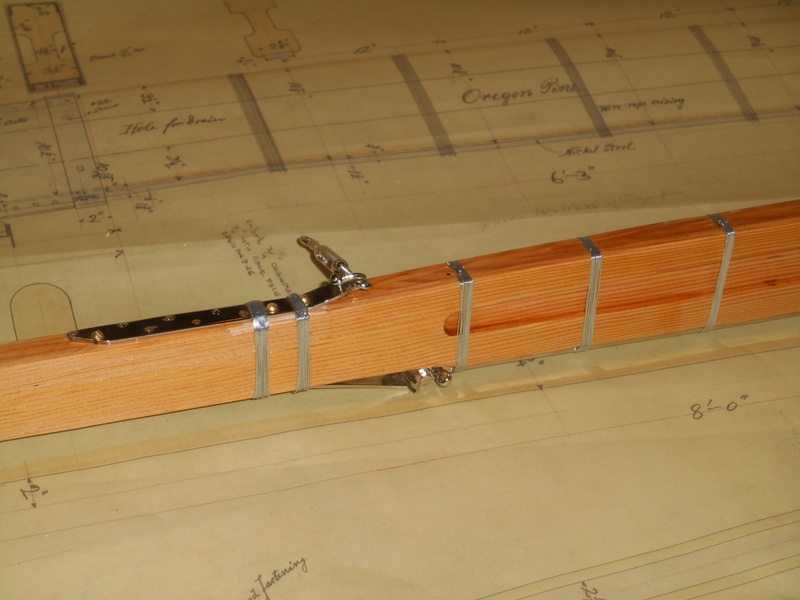 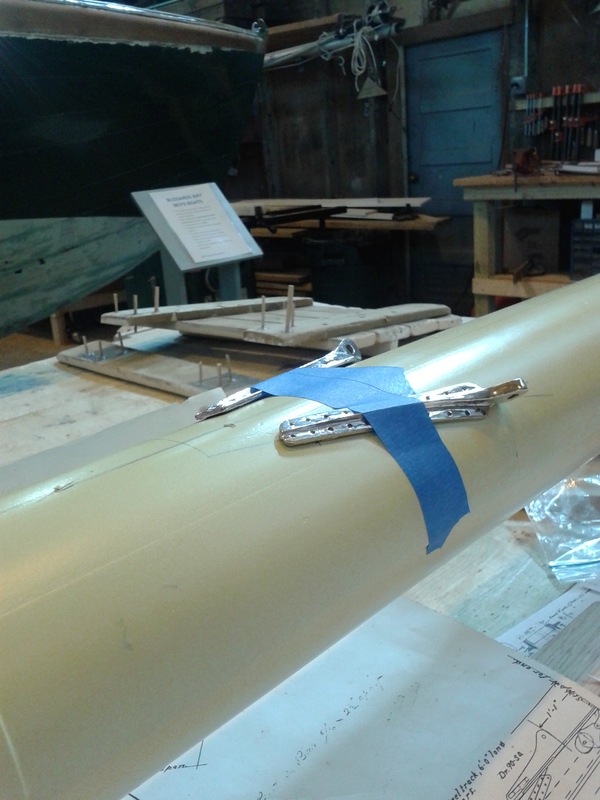 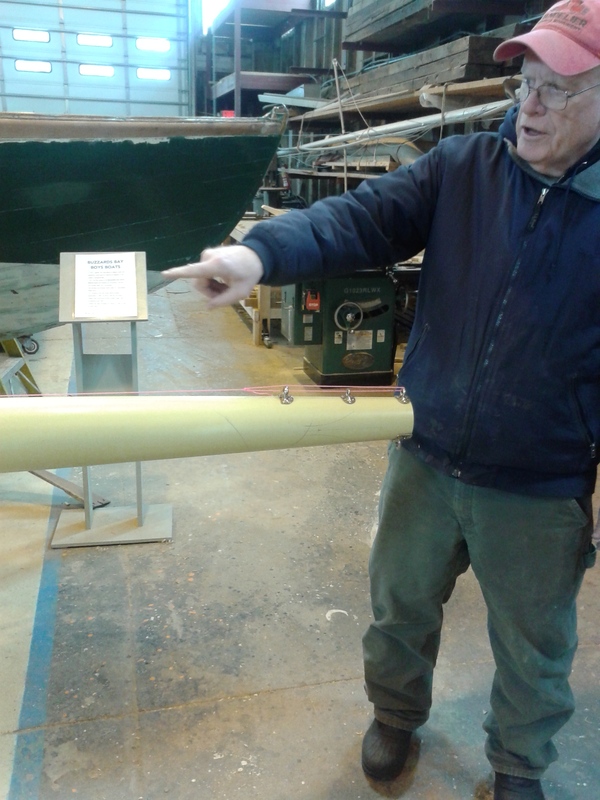 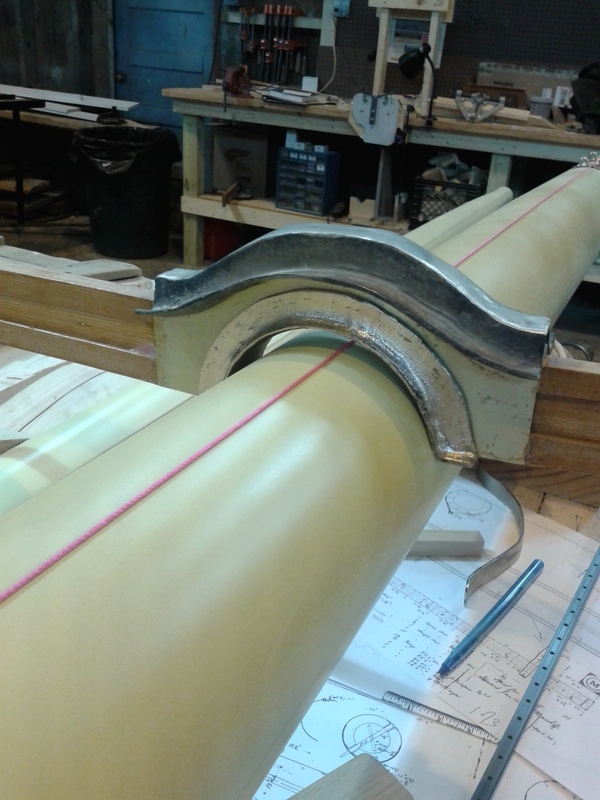 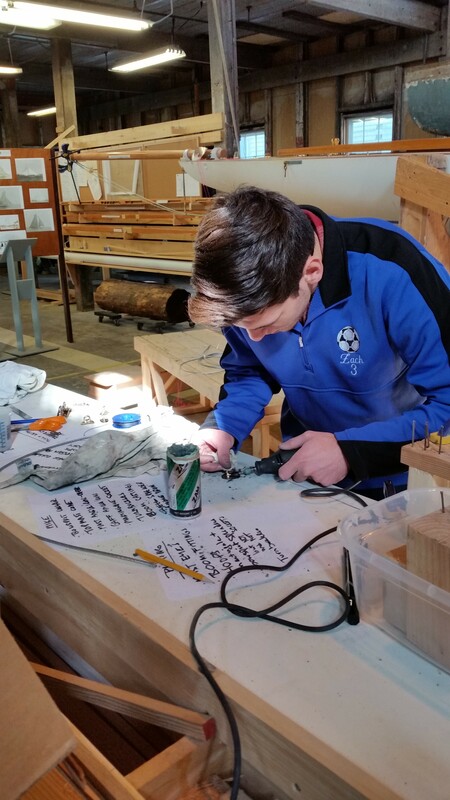 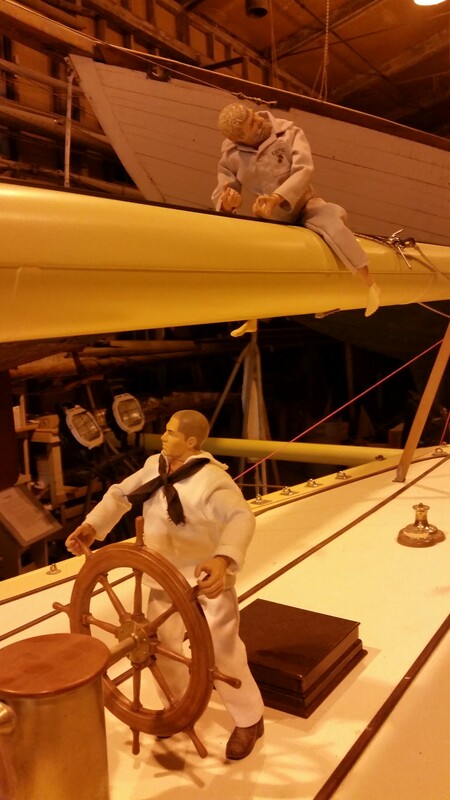 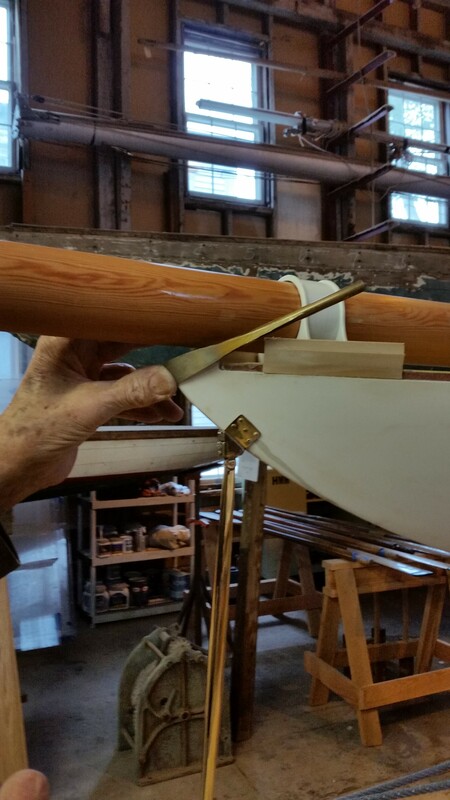 This entry was posted in Project Manager's Welcome and tagged boom, checks, easter, footropes, gaff, Herreshoff, Herreshoff Marine Museum, iron, Mike Mirman, mold, RELIANCE, Reliance Model, RELIANCE Project, splicing, steve, wax, wiring on April 5, 2015 by Herreshoff Marine Museum/America's Cup Hall of Fame. 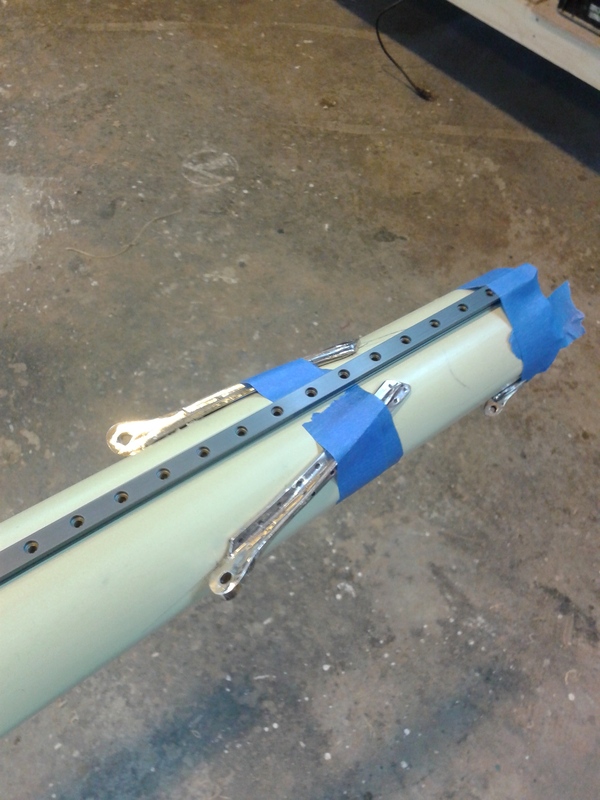 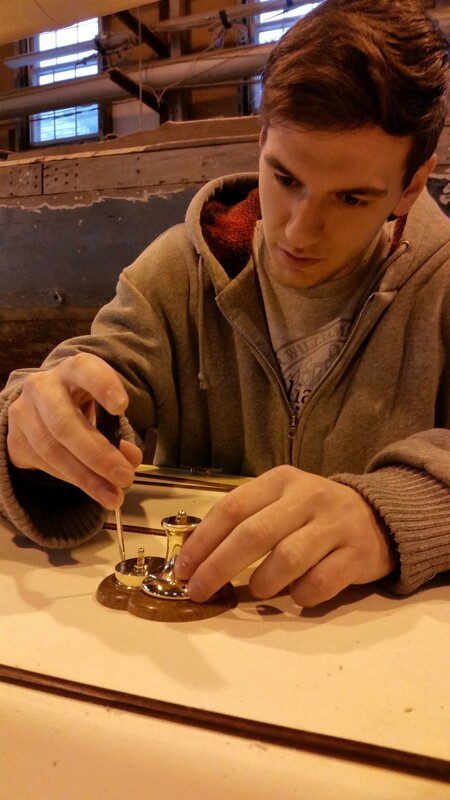 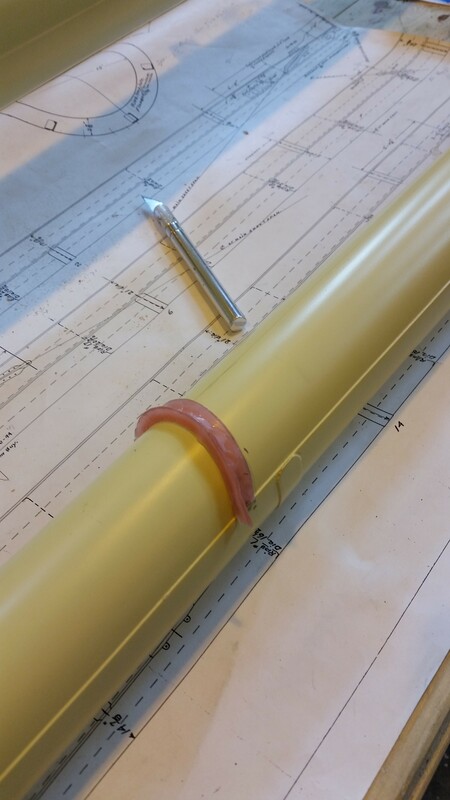 We spent this last Saturday working on the dry fittings for the boom. 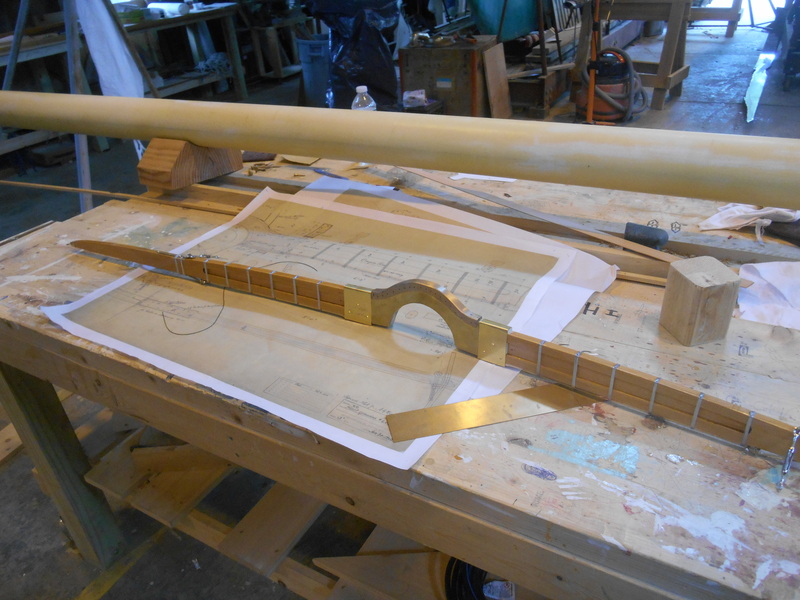 After some diligent work that left our eyes sore, we managed to get some accurate measurements and center all the pieces fairly well. 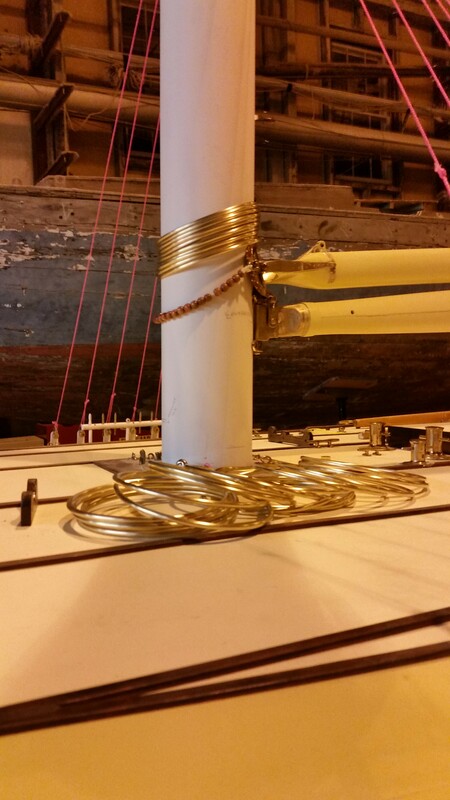 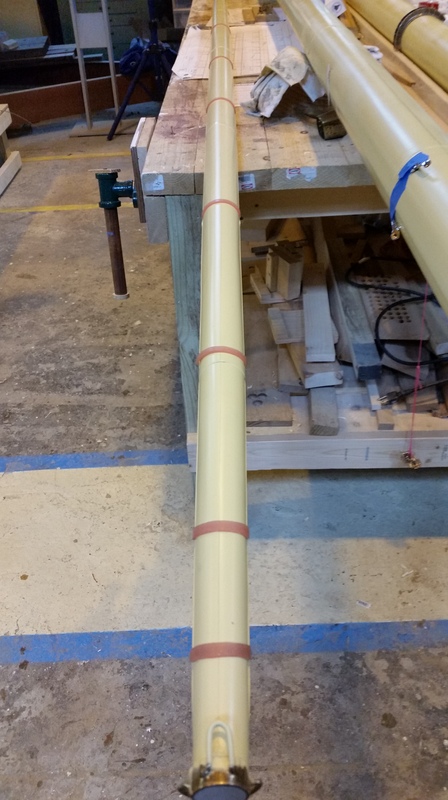 In other news, here’s a nice image of how the spreader is looking right now on the mast. 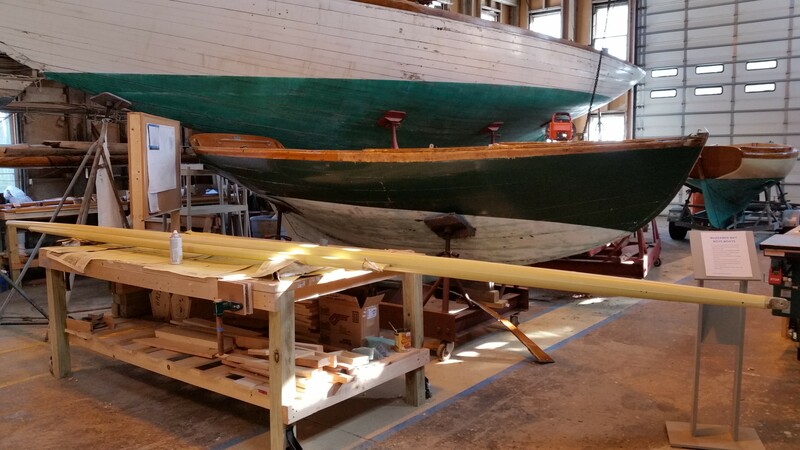 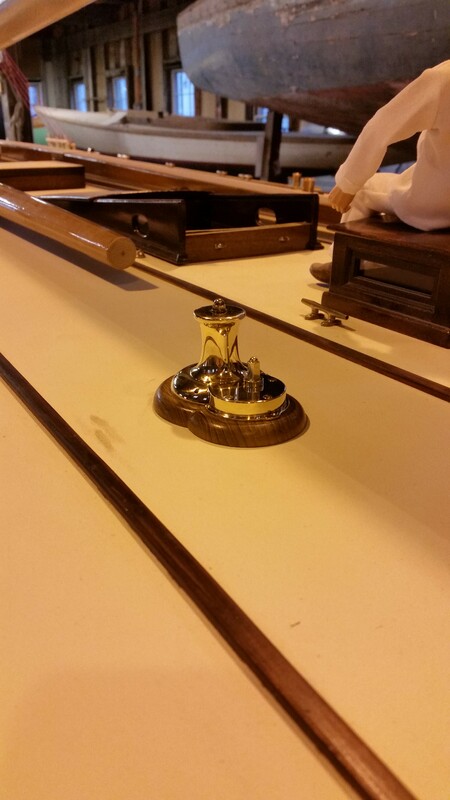 This entry was posted in Project Manager's Welcome and tagged boom, casting, dry, fittings, Herreshoff, Herreshoff Marine Museum, mast, measurements, RELIANCE, Reliance Model, RELIANCE Project, Sandy Lee on March 24, 2015 by Herreshoff Marine Museum/America's Cup Hall of Fame.